(SEOUL) August 27, 2015 – Kia Motors has today revealed the first official exterior images of the all-new Kia Sportage, featuring an attractive new design. 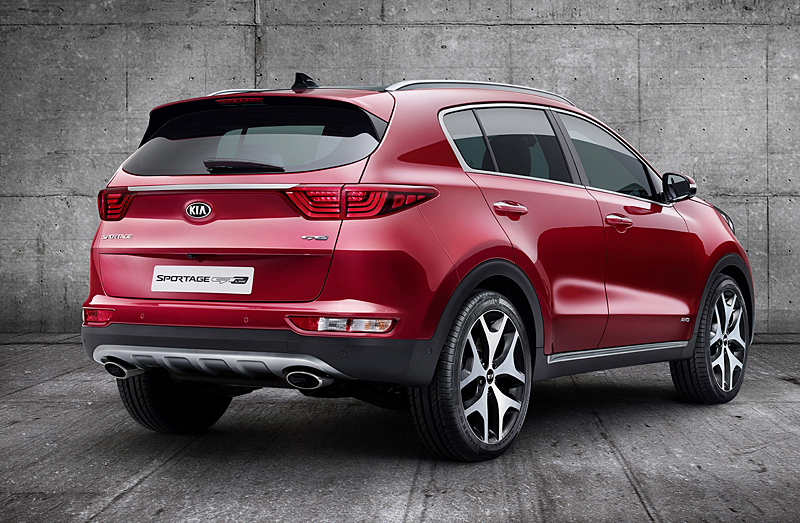 The all-new Sportage will make its global debut at the Frankfurt International Motor Show on 15 September 2015. Entering its fourth-generation, the all-new Kia Sportage features a bold, progressive design, with the vehicle’s designers creating a sense of power and agility from every angle. Echoing the contrast of smooth and sharp shapes found on some of the most iconic modern fighter jets, creating visual harmony out of the tension between sharp, defined feature lines and smooth surfacing. The ‘face’ of the all-new Sportage represents the biggest change to the car’s design, with the car’s headlamps no longer integrated with the grille for the new model, but instead sweeping back along the outer edges of the more sharply-detailed bonnet and bolder wheel arches. Immediately recognisable as a Kia, the Sportage’s lower, wider ‘tiger-nose’ grille adds more volume to the lower half of the face, resulting in a more imposing appearance and a more stable-looking stance. The all-new Sportage is characterised by its sportier, more raked profile. From the side it retains the swept-back silhouette of the outgoing model, with a roofline that tapers slightly towards the rear of the car, longer front overhangs, shorter rear overhangs and longer wheelbase. 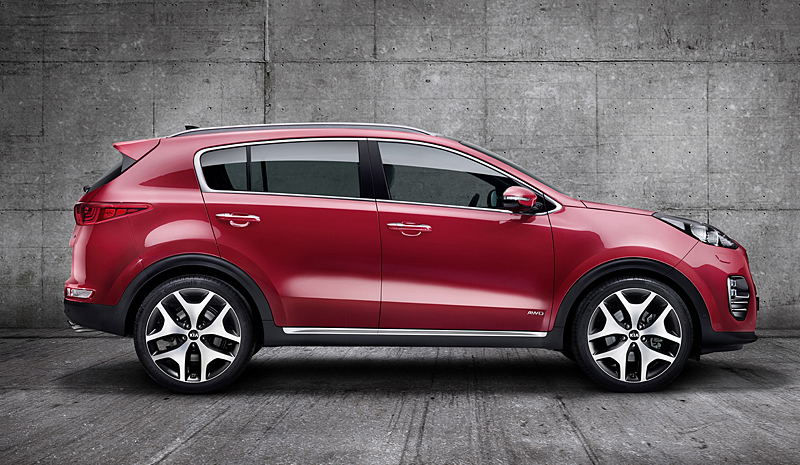 Smooth bodywork, bolder wheel arches and sharp lines endow the Sportage with a more dynamic, muscular look. At the rear, the horizontal forms and surface volume emphasize the car’s width and give the compact SUV a more stable appearance. Inspired by the 2013 Kia Provo concept car, the slim combination lamps are joined by a strip that runs the width of the rear, while turn signals and reversing lights are separated, relocated lower down to add more visual weight and a greater sense of stability to the lower half of the car. 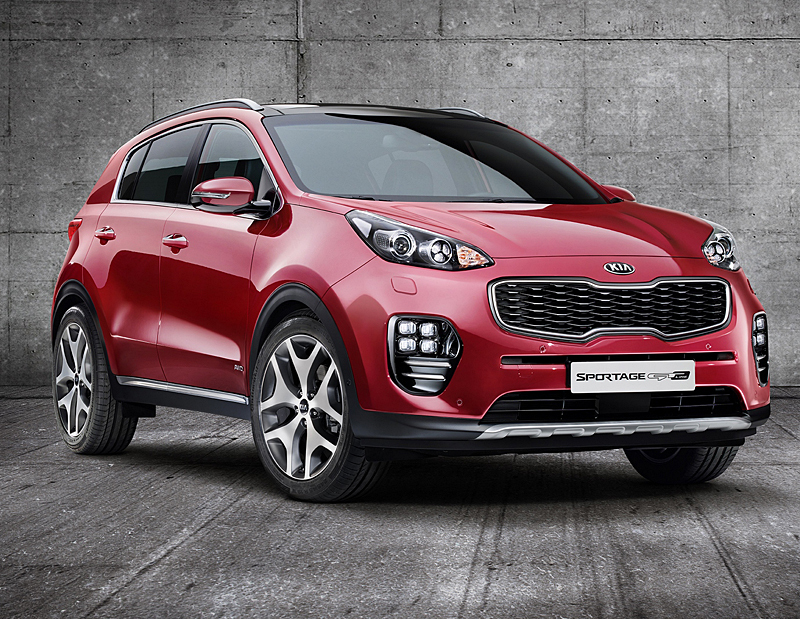 The design of the new Sportage has been led by Kia’s European design studio in Frankfurt, Germany, with input from the brand’s Namyang, Korea and Irvine, California design centres. Kia Canada Inc. (www.kia.ca – www.facebook.com/kiacanada) a maker of quality vehicles for the young-at-heart is a subsidiary of Kia Motors Corporation (KMC), which was founded in 1999 and sells and services high quality, class leading vehicles like the Soul, Forte, Sorento and Cadenza luxury sedan through a network of 188 dealers nationwide. Kia Canada Inc. employs 160 people in its Mississauga, Ontario headquarters and four regional offices across Canada. Kia’s brand slogan “The Power to Surprise” represents the company’s global commitment to surprise the world by providing exciting & inspiring experiences that go beyond expectations.